Packer's lawyers clearly felt the prenup was complicated, sending Mariah's team a 100 page document outlining the specifics. The details in the document are fascinating. 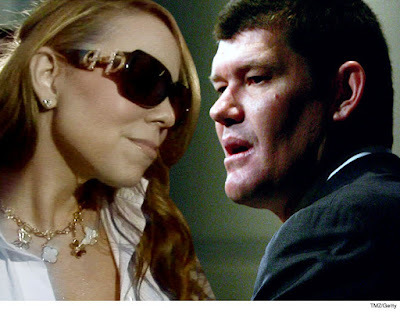 Among the many conditions if Packer gave Mariah a piece of jewelry or anything else, she would have to give it back if they broke up UNLESS he sent her a signed note saying it was a gift. TMZ broke the story, that's exactly the amount she's demanding from him now. I say or f*** off. I want to get married on March 1st. James." BTW there was no way they could marry, because Nick Cannon hadn't signed the divorce docs. Mariah and James knew this, but they were going to call the wedding a "commitment ceremony" and pass themselves off as husband and wife.